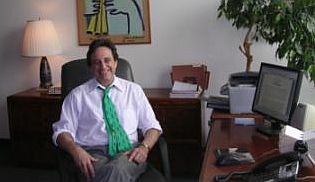 Mike Levin formed the PLLC in May 2007 as a successor to leading-edge environmental practice groups he created at the Washington offices of three national or regional law firms. Clients value his analytic skills, his ability to mesh big-picture issues with details, his long experience responding to client needs, and his judgment honed as a senior legal and policy advisor at the U.S. EPA and other government bodies. The Firm’s Virtual Partner	relationships with premier boutique firms across the country allow it to quickly mobilize complementary resources that meet client needs in a seamless, cost-effective matter. The Law Group is a member of NLGC, LLC, formerly the National Landfill Gas Consortium, a renewable-energy investment banking firm founded in 1996. NLGC in turn is a member of Carbon Finance Strategies LLC, a financial advisory and project development entity focused on prequalifying, structuring, financing and implementing solar PV facilities to investor-grade standards, generally in the 2 MW to 10 MW range. or confidential relationship with any person or entity, without a formal engagement.